Ruth Melling and her daughter Lola. Galway-based ACT for Meningitis are a special charity, formed from heartbreak, to ease the heartbreak felt so many families. Its existence is an unbelievable act of selflessness, a sharing and bearing of pain by its founder Siobhan Carroll and her husband Noel, who lost their daughter Aoibhe at just four years of age, to this unforgiving illness. The disease they hope to raise awareness of is one that strikes quickly, without much warning and has taken countless lives over the years. This week, another mother who lost a child to meningitis has spoken out about ACT for Meningitis and how they have provided her family with unbelievable support at the most tragic point of their lives. This is Ruth Melling’s story — which concludes with an invitation to support ACT for Meningitis at a major fundraiser next month. Lola Jane Nagle’s family’s lives changed forever the day they lost their precious little girl, aged just 17 months to meningitis. Her mum Ruth recalls the day. “I couldn’t seem to get her temperature down. She was just lying there. The next morning, after no sleep, I knew she needed to go to the doctor. It was a crazy time at work for me as my boss was away so I had to get in and open up for everyone. So I left Lola with my husband, went out to work, opened up, rang the doctor and headed straight back home for Lola. “When I got home she was still lying there and I noticed her breathing had got worse and she had a few purple marks on her neck. I immediately thought chicken pox, how wrong I was. I put Lola into the car and headed for the doctors, it’s a drive I will never forget. I still see the way she was looking at me in the mirror sometimes when I close my eyes, I will never be able to describe it but I knew there was something seriously wrong with my little girl. “They made me go outside for air and told me they were ringing an ambulance and to phone somebody to meet me at the hospital. At this stage I was numb I had no idea what was happening. I just kept saying it couldn’t be meningitis. “The ambulance arrived at the surgery and I took my little girl into my arms while they tried to control her breathing. This was the last time I held my baby alive. The sirens went on and they told me it was only because of traffic. “How naive I was to think everything was ok. We got to the hospital where a team of doctors were waiting, she was whipped out of my arms and I was asked to sit while I watched them all around my baby. A lot of what happened after this is a blur. “I sat alone in the room watching and still not realising what was going on. A few doctors tried to speak to me to tell me how serious it was but I heard nothing, I was just numb. I remember my husband arriving and trying to talk to me to tell me to say goodbye to our little girl. I couldn’t move I couldn’t get off the chair, and then she was gone. From 10am in the doctor’s surgery to 12pm in the hospital my baby was gone. How? Why? I don’t think I will ever understand it, she was perfect only the day before, she was so happy and full of life, my angel Lola Jane. 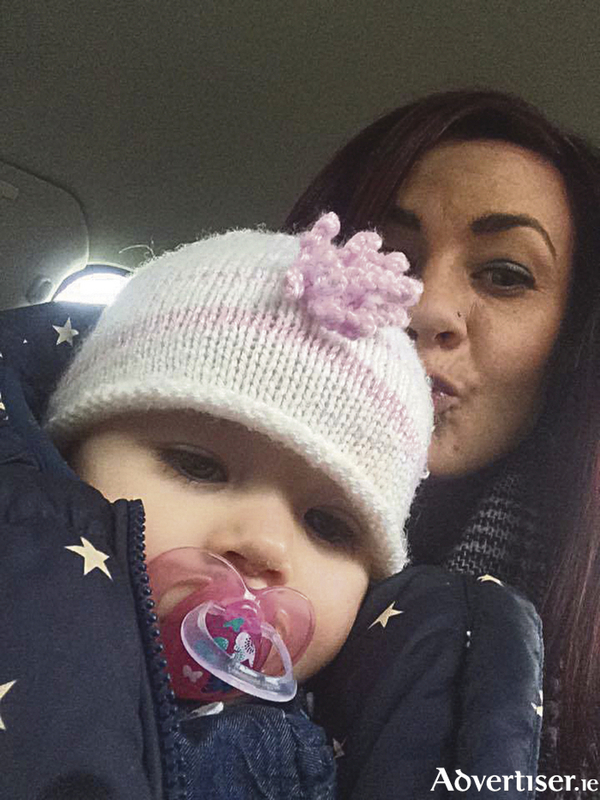 “It’s so strange; Lola was born six weeks premature and fought hard to stay with us. She had no lashes when she was born but by the time she left hospital to come home she was called Lola Lashes by all the nurses, they were beyond long! “I’m not sure if it was a sixth sense or maybe somehow I knew to protect her, but I was a crazy overprotective mom when it came to Lola. Everyone that knows me knows how laid back I am, but with Lola I was constantly watching her, following her, she was never out of my sight. “I was so paranoid about her choking, that I did two first aid courses and wouldn’t dare even give her a sausage. You would think I would be like that now with my son Scott, but no, it was only Lola. I adored her. She was with me every minute, my special girl. “We had a very special bond and I miss her terribly. I can still hear her breathing and see the way she was looking at me in the car on the way to the doctor’s. I don’t think it will ever leave my mind how scared she must have been. Act for Meningitis have been an amazing support to our whole family, I have built a strong friendship with them and will continue to help in any way, to prevent this happening to someone else,” said Ruth. ACT for Meningitis CEO Siobhan Carroll says that one life lost to meningitis is just one to many. “I urge people to make themselves aware of the signs and symptoms of this disease and most importantly trust your instincts. If you suspect meningitis seek medical help immediately”.